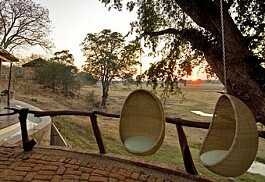 The countryside in the Luangwa Valley is truly spectacular. The vegetation is thick and a lush riverine forest occurs, which is green all year round. 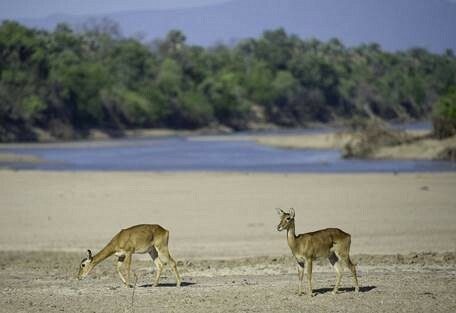 The concentration of animals around the Luangwa River is among the most intense in Africa. South Luangwa National Park is almost 10 000 sq km in size; situated at the southern end of the Great Rift Valley in Zambia. 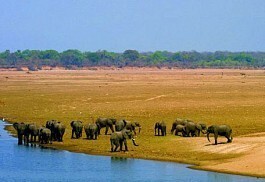 The South Luangwa National Park is untamed and isolated and renowned for its abundance of wildlife. 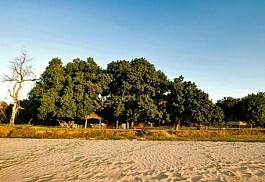 The park is divided by the magnificent Luangwa River running from North to South providing the lifeline to the area. The Luangwa River is the most integral river system in Africa and is the life blood of the South Luangwa National Park. Zambia and particularly the Luangwa Valley are famous for offering incredible walking safaris as well as night game drives. There are several lodges that remain open all year in the central area of the park, while others have to close their doors during the heavy rains. 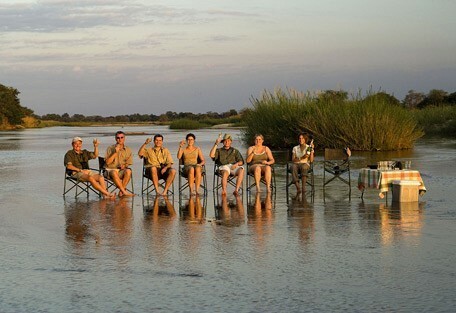 Recently bush camps have opened particularly to enjoy the Emerald Season, offering visitors an entirely new perspective. 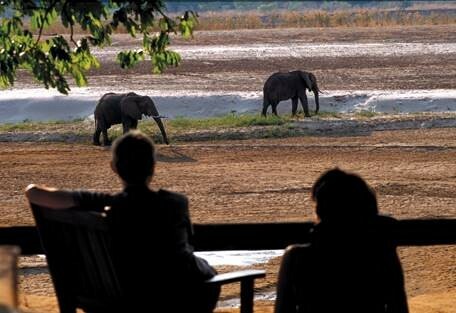 South Luangwa is a world-renowned wildlife haven. 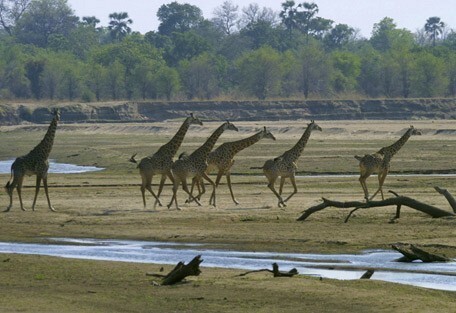 It supports large populations of Thornicroft's giraffe, and herds of elephant and buffalo often several hundred strong, while the Luangwa River supports an abundance of crocodile and hippo. This luscious National Park is one of the best-known areas in Africa for walking safaris, as guests are introduced to the environment on foot, having eye-opening and exciting encounters. The Luangwa River is the most intact major river system in Africa and is the life blood of the entirety of the park, which is just short of 10 000 sq km. 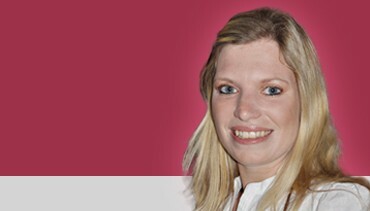 The changing seasons add to the park’s varying appeal, as the climate brings about a very wet summer, or Emerald Season, before giving way to a dry, bare bushveld in the winter. 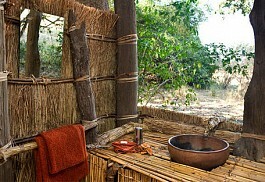 Kaingo Bush Camp offers superb walking safaris in a remote corner of South Luangwa National Park. The lion viewing is productive and leopard viewing is almost guaranteed. 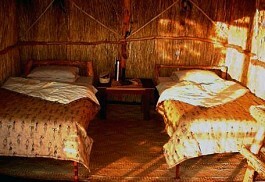 The Camp offers peace and serenity with solar power ensuring only the sounds of the bush. 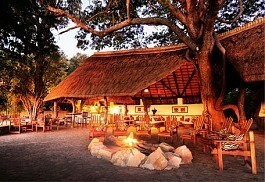 Chichele Presidential Lodge in South Luangwa National Park offers one of the best locations in Zambia. Guests can enjoy ten stylish air-conditioned, Victorian-style suites with en-suite facilities and spectacular views. Kalamu Lagoon Camp is situated in the private Luamfwa Concession in the southern sector of the South Luangwa National Park; a private and exclusive area visited by few people. 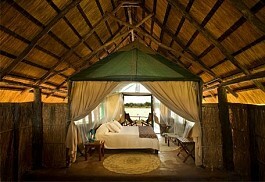 Kalamu Lagoon Camp promises a personal and intimate safari experience. 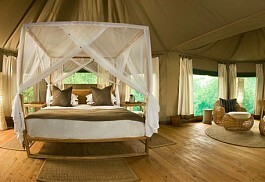 Tafika Camp is a small, intimate camp situated in the Luangwa Valley in the South Luangwa National Park. Tafika Camp offers only 6 chalets catering for a maximum of 12 guests; each chalet has an en-suite shower and toilet as well as a covered veranda. Chinzombo, originally a simple, rustic camp on the banks of the Luangwa, now promises to be innovative and luxurious; ideal for guests seeking more glamourous camping. 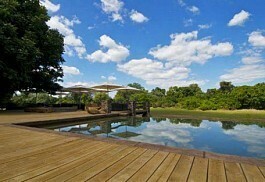 Located on a large plot of land almost entirely cut off by the meandering Luangwa River. Kapani Lodge is an exclusive and luxurious lodge situated in the South Luangwa National Park; one of the finest game parks in Zambia. Wildlife activities include day game drives, night drives and walking safaris which the South Luangwa National Park is famous for. 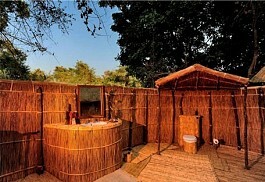 Luwi Bush Camp was one of the original bush camps in the South Luangwa National Park in Zambia. 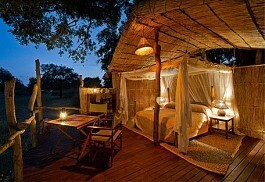 Luwi Bush Camp offers one of the best walking safari-experiences in South Luangwa National Park. 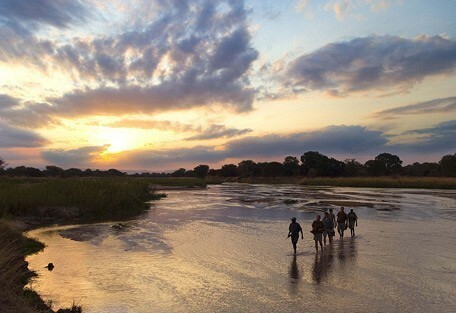 Chikoko Walking Trails offers a unique experience in the South Luangwa National Park; an area famous for offering the best walking safaris in Africa. Chikoko Walking Trails are conducted in a remote and unspoiled area, rich in wildlife and birdlife. Located less than an hour’s drive from Mfuwe Gate in South Luangwa National Park, Chikunto is positioned right on the banks of the Luangwa River. 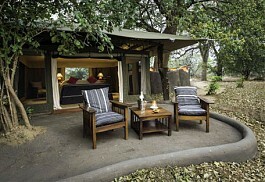 Out in the open, there is nothing blocking the staggering views and wildlife activity seen from the lodge. 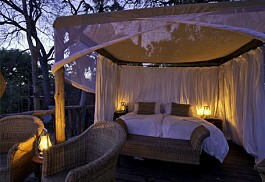 Bilimungwe offers a peaceful and tranquil hideaway in a secluded corner of the South Luangwa National Park. The permanent waterhole in front of Bilimungwe camp attracts an abundance of wildlife and guests can enjoy fantastic game viewing without having to leave the camp. 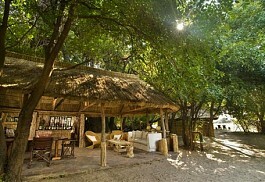 Kapamba offers a unique experience in a remote corner of South Luangwa National Park. 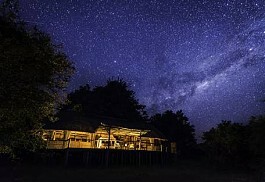 Kapamba has no electricity, so guests enjoy romantic candlelit dinners under the stars, which adds a unique touch the African safari experience. 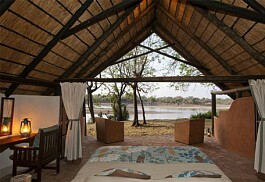 Chamilandu offers a magnificent setting in the South Luangwa National Park overlooking the river. 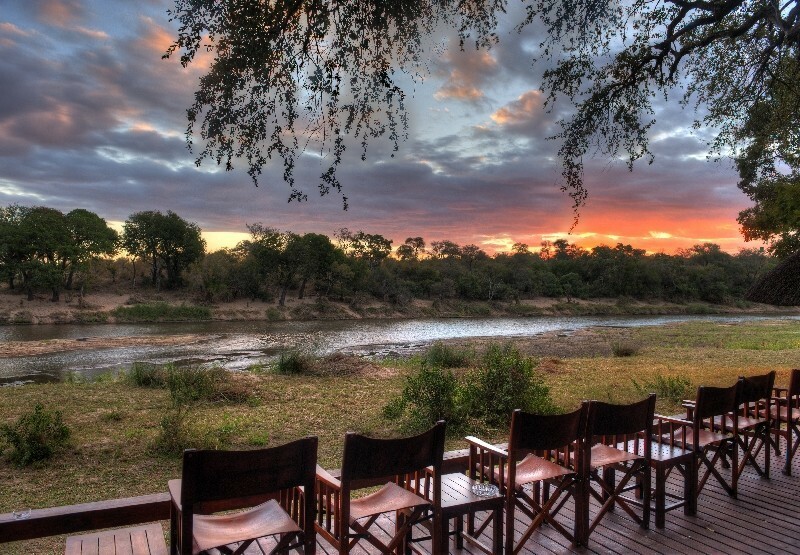 Guests can enjoy game viewing from the comfort of the camp or their own private balcony. 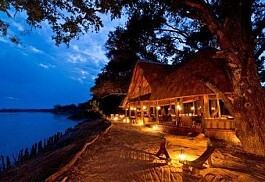 Chindeni provides a unique setting alongside a permanent lagoon in the South Luangwa National Park. Guests can combine Chindeni with either Chamilandu or Bilimungwe Camps on a walking trail and get to experience two camps in one stay. Zungulila Camp in the South Luangwa National Park offers high quality guiding and some of the best walking safaris in Africa. 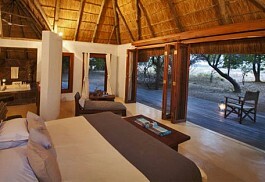 Zungulila is situated in a secluded corner of the Park where guests are treated to incredible game viewing opportunities. 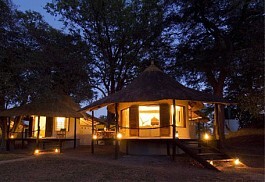 Kuyenda is a small bush camp situated in a remote corner of the South Luangwa National Park. Kuyenda offers visitors a safari experience with breathtaking scenic beauty, magical sunsets and incredible wildlife. Kalamu Walking Trail allows safari-goers to experience the thrill, majesty and pristine nature of the Luangwa wilderness on foot. Guests begin at Kalamu Lagoon for one night before going on to explore the untouched northern banks of the Luangwa River on foot. Puku Ridge Camp in South Luangwa National Park offers visitors a traditional safari experience in one of the most magnificent parks in Zambia renowned for game viewing and bird watching, home to over 400 species of bird. Nsolo Bush Camp is a small romantic bush camp in the heart of the South Luangwa National Park providing fantastic game viewing and a traditional safari experience. 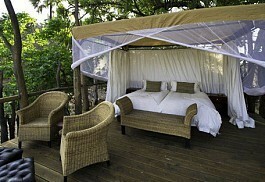 Nsolo Bush Camp is small and caters for only 8 guests at a time ensuring personalised service. Nsefu Camp offers a remote and exclusive safari experience in the heart of the Nsefu sector in South Luangwa National Park in Zambia. 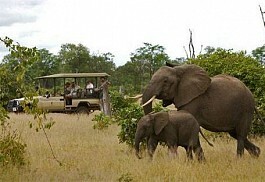 Nsefu Camp was famous for offering superb photographic safaris 50 years ago and it still is. 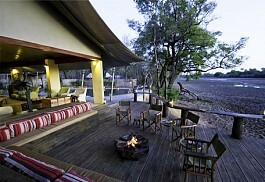 Island Bush Camp offers guests a traditional safari experience with no electricity. Paraffin lamps add a romantic feel to the camp, as guests enjoy delicious dinners under the stars and experience true peace and tranquility of the African bush. 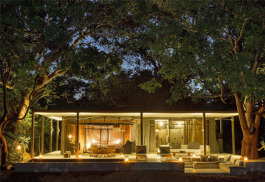 Luangwa Safari House offers privacy and exclusivity in a remote and private corner in the South Luangwa National Park. 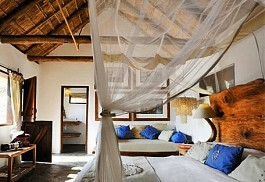 Guests will have the privilege of their own private chef, butler and a private guide and vehicle. 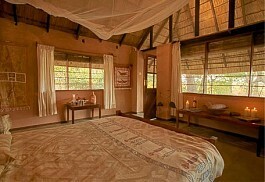 Tena Tena Camp is a small, seasonal bush camp situated in the heart of the South Luangwa National Park. Intimate and personal, it caters for only 10 guests at a time ensuring a private and exclusive safari experience in a remote corner of the Park. Mchenja Bush Camp offers breathtaking views, incredible game viewing at a remote location along the Luangwa River in South Luangwa National Park. 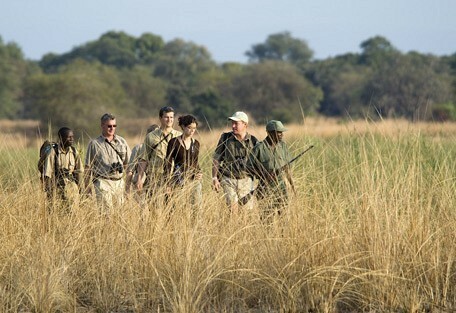 It is also a bird watcher's paradise with over 400 hundred species of birds recorded in the Luangwa Valley. Mwamba Bush Camp offers fantastic wildlife viewing, with the prominent appearance of the famous "Mwamba pride", which consists of six magnificent lionesses and two dark-maned male lions who can frequently be seen around the camp. Kakuli Bush Camp is a small tented camp offering guests a traditional safari experience with incredible walking safaris in the South Luangwa. 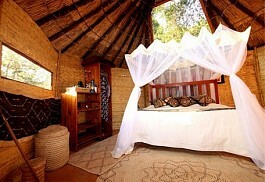 Kakuli Bush Camp offers five spacious safari tents with cool thatched roofs and en-suite open-air bathrooms. Nkwali Camp is a small bush camp in Zambia on the edge of the South Luangwa National Park and known to offer incredible game viewing. 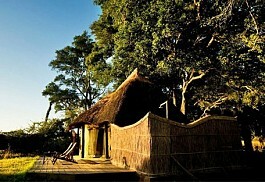 Guests can expect to see leopard, lion and occasionally wild dog; the leopard viewing is especially good. 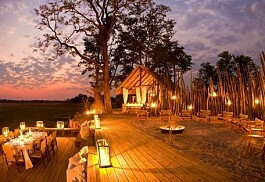 Luangwa River Lodge offers luxury and charm in the beautiful Luangwa Valley in South Luangwa National Park. 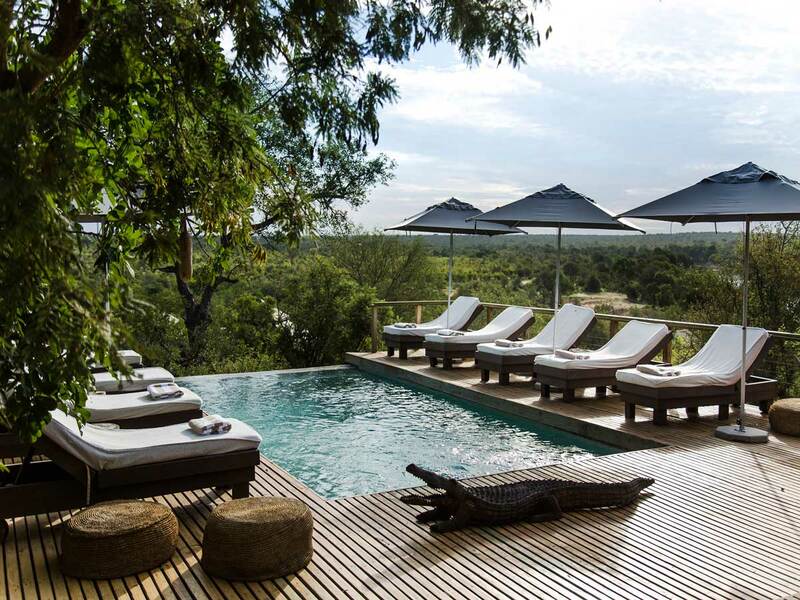 The lodge offers five tastefully decorated bush suites accommodating a maximum of 10 guests at a time, ensuring a private and personal safari experience. Kafunta River Lodge offers a private and personal safari experience in a unique location in the South Luangwa National Park. Guests can enjoy a variety of wildlife activities; including, day and night game drives and Zambia's renowned walking safaris. Flatdogs Camp is a relaxed and friendly camp in the remote South Luangwa National Park and caters for families as well as guests looking for a fantastic value-for-money-safari experience in this part of Zambia. Flatdogs is ideal for children. 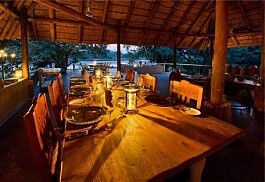 Mfuwe Lodge offers luxury and comfort in the magnificent South Luangwa National Park. Guests at Mfuwe can enjoy outstanding service, incredible game-viewing opportunities, as well as, thrilling game activities. Chinengwe Riverbed Camp is a tented camp situated in the Luamfwa Concession in the southern sector of the South Luangwa National Park. It is a welcome destination on the Kalamu Trails course, where guests will be accommodated in dome-style tents on the river banks. Thornicroft Lodge is a comfortable safari lodge situated on the Luangwa River on the doorstep of the South Luangwa National Park. 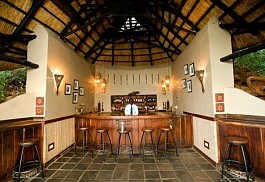 Thornicroft Lodge offers a superb safari experience and guests can enjoy a variety of exciting game viewing activities. 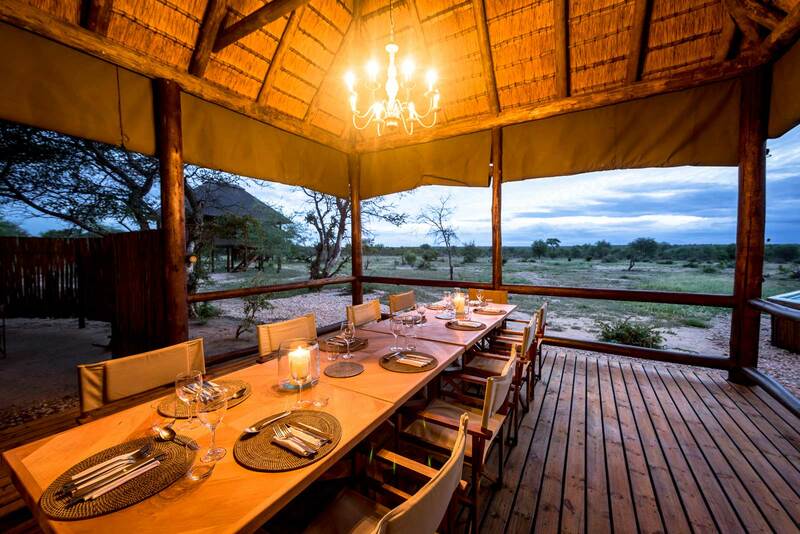 Wildlife Camp offers a variety of accommodation choices; including, bush chalets, tented accommodation as well as a traditional bush-camp experience in dome tents offering a superb walking safari-experience. Kalamu Star Bed Camp is situated in the Luamfwa area in the South Luangwa National Park; a unique experience ideal for the devoted safari guest looking for an adventurous and traditional safari experience. The South Luangwa National Park has enormous concentrations of big game and fantastic birding with 450 species. A highlight for bird-watchers is the hundreds of brightly coloured carmine bee-eaters nesting in the sandy banks of the river. The Thornicroft's Giraffe is unique to Luangwa Valley as is Cookson's wildebeest. Hyenas are fairly common throughout the valley and can be heard most nights. 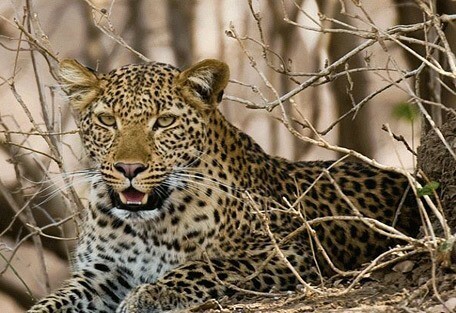 South Luangwa National Park also has a good population of leopard, however they are very elusive. 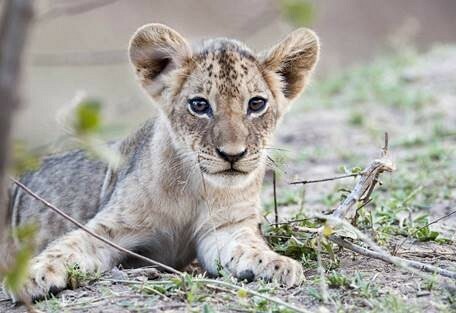 Lions are plentiful and often roam in prides of up to thirty. Other carnivores present but not often seen include caracal, wild dog, serval and side-striped jackal. 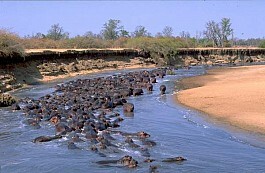 The Luangwa River also has a high number of hippo and crocodile. Night drives are exciting and many nocturnal species may be seen, like genets, civets, and bushbabies as well as owls, nightjars, the foraging hippos, honey badgers and lion. 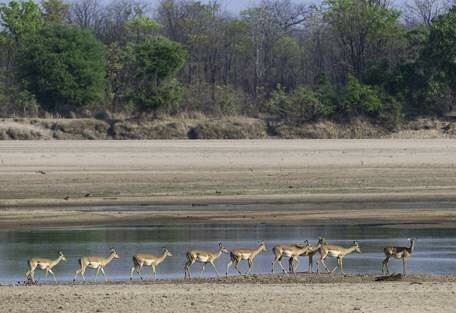 The climate in South Luangwa remains warm throughout the year, getting very hot and humid in summer, and never dropping below a pleasant coolness in winter. It is most recommended to visit between the months of May and October, which is outside of the hottest and wettest months, taking advantage of the period in between the rains. May to August is winter, which is pleasantly cool and dry; September and October is when it starts getting hot and the characteristic humidity starts to build, but this is when the animals gather around the waterholes and make for great game viewing. November and December are the peak of summer and the heat and humidity are almost unbearable, while the clouds are just about ready to submit to the rains. By January the rain has hit, and it lasts until April, which is a period known as the Green Season. Chindeni Tented Camp offers a superb location alongside a permanent lagoon with the picturesque Nchendeni Hills in the background. 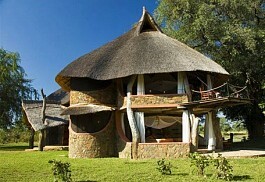 It has fantastic wildlife viewing and luxurious accommodation catering for only 8 guests. The area around Kafunta River Lodge is famous for leopard and lion viewing, as well as the highest density of hippos and crocodiles in the river. 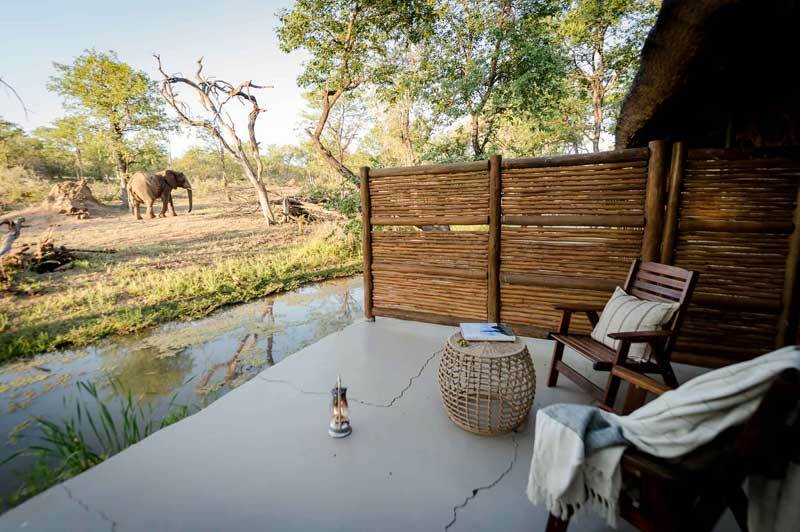 At Mfuwe Lodge, guests are accommodated in luxury, and in November, may witness the local elephants wander right through the lobby, lured by a nearby wild mango tree. Guests visiting South Luangwa National Park will have their flights and road transfers booked and arranged by Sun Safaris. The closest airport is just outside the entrance of the park, near the town of Mfuwe. 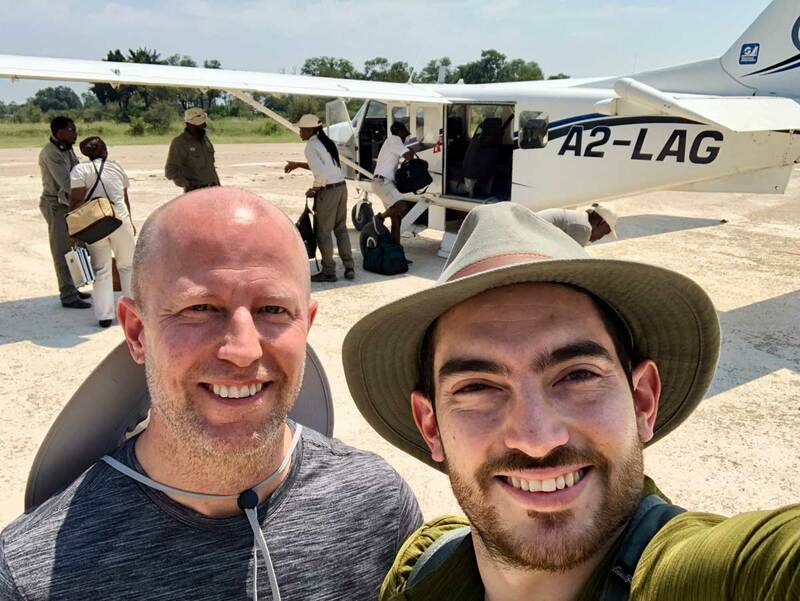 Sun Safaris will fly guests into Zambia at either Livingstone International Airport (located near Victoria Falls) or at Lusaka, and then connect with a flight to Mfuwe airport. The closure of many lodges during the wet Emerald Season means that flights to Mfuwe are less regular. From Mfuwe airport, guests will be picked up and transferred by road to their booked accommodation.